Home / News / Hatteras Island / How Much Does an Outdoor TV Cost? For those looking for fun and exciting ways to upgrade their backyard experience this summer, installing an outdoor TV is a must! We are vendors for SunBriteTV, because they sell some of the highest quality outdoor televisions on the market and offer one of the best warranties in the industry. Can Outdoor Televisions Really Handle the Elements? SunBriteTV’s televisions are sleek, weatherproof, and engineered to take a beating. In this article, we discuss the different types of SunbriteTV outdoor televisions and provide some insight into the cost of both the television and their professional installation. What Impacts the Cost of an Outdoor TV? There are usually two primary costs associated with an outdoor TV. The first and most important of those costs is the equipment itself. There are also various accessories, mounts, dust covers, speakers, remotes, and wireless transceivers to consider. The cost of the actual outdoor televisions can range anywhere from $1,500 to $25,000, depending on the size, style and quality of television needed. The most expensive of these televisions boasts an 84” LED screen with 4K Ultra HD quality that can be viewed in the brightest circumstances and is arguably the best outdoor television on the market. The least expensive outdoor TV model from SunbriteTV costs only $1,500 and comes with an impressive 32” 3270HD screen. These less expensive models are fully weatherproof but may need to be viewed away from direct sunlight, like on an outdoor patio, gazebo, awning, or roof overhang. There is a wide range of options that fall between the most expensive and least expensive outdoor TV options. Screen size and quality dictate price. A professional TV installer will ensure that you get a television within your budget and one that will also serve your individual needs. The second cost factor of an outdoor television is the professional installation of the TV itself. You run the risk of losing your warranty by not installing the TV properly, and there are a lot of unique factors that have to be taken into consideration during the install. The cost of installation depends largely on the amount of time required, mounting challenges, and factors like sinking permanent posts in the ground. Basic installation is likely to cost a few hundred dollars, but could go as high as several thousand, depending on circumstance. Installers can help with ensuring correct placement, adding accessories and speakers, setting up wireless connections, and mounting the television to a wall or freestanding pole. What Type of Outdoor Television Should I Get? Outdoor televisions reside in a space where wind, rain, tree branches, and soccer balls all may come hailing down at any moment. This is a piece of equipment that gets permanently installed, so picking the right location and style are crucial. Ready for an Outdoor Television Yet? When it comes to outdoor televisions, the TV’s from SunBrite have a reputation for being able to handle just about anything you can throw at them, literally. But they’re also known for an outstanding visual quality that will upgrade just about any backyard experience. 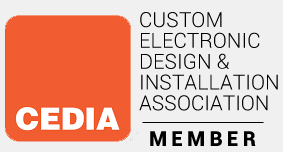 Contact Richmond’s electronic solutions specialists at Moseley Electronics to learn more about outdoor televisions and to get an exact quote for installation at your home or commercial facility.